First, according to the weight of tools and accessories choose the appropriate specifications of the electric hoist balancer. Second, when hanging balancer, be sure to connect a good insurance rope. Third. adjust the balancer on the balancer so that the balance weight of the balancer is the same as the weight of the tool you are using, so that the tool is in any position on the stroke, ie the tool is in a no- When the clockwise adjustment, the balance weight increase inversely reduced. The balance weight is adjusted to the intermediate value when supplied, and the balance weight can not be adjusted above or below the rated value. Otherwise, it will affect the normal operation. Fourth, remove the tool from the balancer, you must first pull the pin pull out, clockwise rotation of 30 degrees, put back into the tank, the tower wheel locked, remove the tool to prevent the sudden unloading hook fast To recover the wounding or damage to the tool, especially after the reload of tools or other tools, can only break the pin, the stop pin counterclockwise reset. Fifth, the balancer is not linked to the tool, do not empty the air empty, so as not to cause the wrong rope stuck or hanging slot. Sixth, when the operating tool for horizontal movement gradient of more than 30 degrees, the need to move close to the vertical position in the relaxation tool, otherwise it will cause the wrong groove stuck. 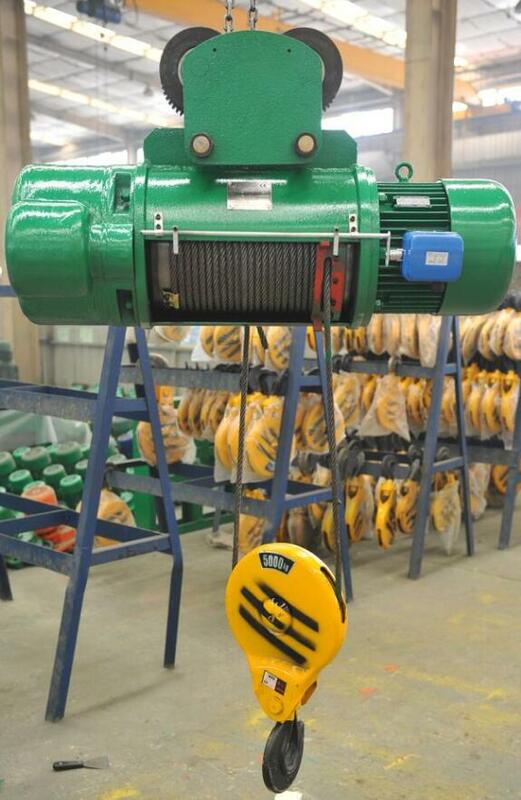 Seven, the load should be vertical electric hoist suspension.